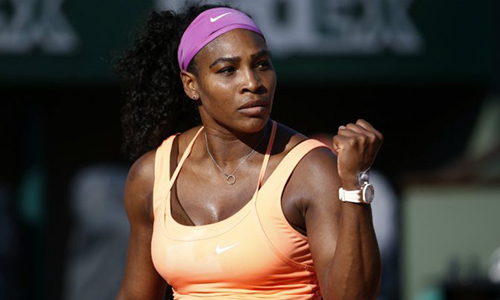 PARIS – World number one Serena Williams survived a mid-match meltdown to beat Czech Lucie Safarova 6-3 6-7(2) 6-2 to win the French Open on Saturday, her 20th grand slam trophy. The American, who skipped practice on Friday because of a bout of flu, opened up a 6-3 4-1 lead but suddenly slumped as the 13th-seeded Safarova stormed back into contention, even moving 2-0 up in the decider. But Williams regained her composure and won the last six games to win the claycourt major for the third time after her 2002 and 2013 titles. She is now third on the list of all-time major champions behind Australian Margaret Court (24) and German Steffi Graff (22). Meanwhile, World number one Novak Djokovic stayed on course for a career slam when he beat British third seed Andy Murray 6-3 6-3 5-7 5-7 6-1 to reach the final. The Serb, looking to win the only major missing from his collection, was leading 6-3 6-3 5-7 3-3 when play was interrupted by rain and dusk on Friday. 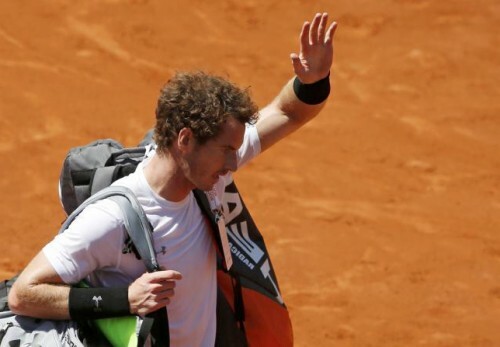 Murray broke in the 11th game of the fourth set on Saturday to send the contest into a decider. Djokovic, however, was up to the task and broke twice to secure a place in the final with an ace.